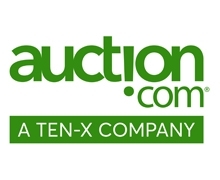 Established in 1990, Auction.com has pioneered modern real estate auctions and created the nation’s leading online real estate marketplace. It has established a dominant position in its industry by selling more than $37 billion in real estate assets at auction since 2007. Additional services include residential loss mitigation and title agency and escrow/closing services. Primary clients are residential and commercial mortgage lenders, servicers and brokers. Auction.com’s success is based on the aggregation of real estate assets that are marketed and sold in large format live and online auctions. 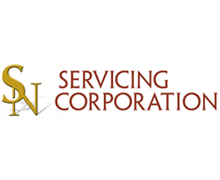 FCI Lender Services is a leading national Private Money Services provider for Lenders of any size, and is one of the oldest Specialty Servicers. FCI is a Level One Rated Servicer with a SOC1 audit. Clients include Individuals, Brokers, Hedge Funds, and Banks. The Customer Login shows live servicing activity, including payments received, Notices, and Collection notes. FCI’s Specialty Servicing division offers sophisticated collection programs that include financial modeling to calculate returns. 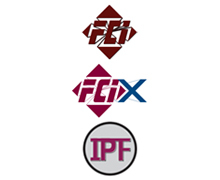 FCI Exchange is a national Note Trading Platform offering Buyers and Sellers an easy to use internet platform that guides clients through the Buy/Sell process. It has Performing, Non Performing, and Newly Originated real estate secured Loans of every type, in any servicing. The site is free to use, with only a low Sales Processing Fee at close. Investor Portfolio Funding provides funding on SFR Rental Properties and Non-Performing Note Pools to Investors of all sizes. Loans are funded through its world-renouned Financial Investor, with Loan Servicing provided by FCI Lender Services. What if your commercial lender was customer-centric? What if your commercial lender focused on common-sense underwriting, speed, and certainty of execution? What if a commercial lender opened more opportunity for you? 5 Arch Funding is a national real estate finance firm dedicated to providing residential investors, developers, and mortgage brokers with the working capital needed to rebuild and revitalize communities. Led by industry veterans with a combined 80+ years of experience in residential mortgage finance, structured finance, capital markets, and special servicing, 5 Arch provides the comprehensive lending platform for investors’ needs. Every day we are opening the door to new opportunities so you close more deals across the country from AZ, CA, FL, GA, IL, IN, MD, NV, OR, TX, to WA, with plans for nationwide expansion. To learn more, visit 5ArchFunding.com. 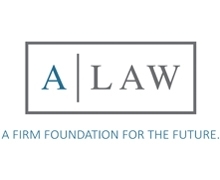 ALAW was founded as Albertelli Law in 1997 by James E. Albertelli and is a full-service creditor's rights law firm representing institutional and private lenders in Alabama, Florida, Georgia, North Carolina, South Carolina and Texas. ALAW’s REO, Title, and Closing Division is trusted by the nation’s top banks, certified to comply with the 7 Best Practice Standards of the American Land Title Association (ALTA) Best Practices, and exceeds ISO27002 benchmark standards for business processes, IT controls, and data security. 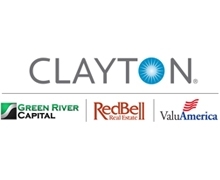 Clayton Holdings LLC, a subsidiary of Radian Group Inc. (NYSE: RDN), provides risk-based analytics, residential loan due diligence, consulting, surveillance and staffing solutions. 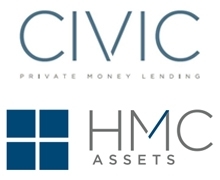 The company’s subsidiaries include: Green River Capital, customized REO asset management and single-family rental services; Red Bell Real Estate, advanced AVMs, BPOs and technology to acquire and track performance of loan portfolios and NPLs; ValuAmerica, national title and appraisal management company and vendor management technology provider; and Clayton Euro Risk, global services. For more information, call 877.291.5301 or visit www.clayton.com. INFINITY is an industry leader in Mortgage Due Diligence that has been reviewed by and meets all of the major rating agencies required standards. INFINITY provides services for Mortgage Due Diligence, Pre-Fund QC, Post-Close QC, Pre-Purchase QC, O&E Searches, Tax, BPO and Appraisal Review Services, and Specialized Mortgage Staffing. Whether you are an Investment Bank, Originator, Regional & Community Bank, Servicer, Hedge Fund, Real Estate Investment Trust, or a Mortgage Insurance provider, INFINITY is your business partner for all your mortgage fulfillment requirements. 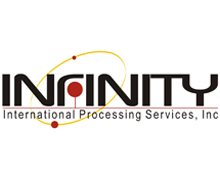 For more information, please contact us at www.infinity-data.com phone number (877) 463-8485. Oversite Data Services is the premier provider of innovative legal decisioning solutions for the financial services industry. 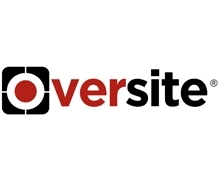 Oversite’s platform of patent-pend-ing solutions based on legal and business insight empowers investors, loan servicers, and legal service providers with the data and analytical tools necessary for unparalleled transparency and oversight. Oversite’s award-winning BestX® Diligence platform is the only solution that combines objective data—sourced directly from the courts—with a legal and business rules-based decisioning engine for better valuation and more effective trading. BestX gets the FACTS that directly impact IRR. PRE-TRADE BIDDING & DILIGENCE Reveals TRUE case status Assesses associated risk and exposure to liability Litigation and discovery risks Statute of limitations risks Dismissals and lack of prosecution threats Generates risk score for more accurate liquidation timeline predictions POST-TRADE ONBOARDING Facilitates reconciliation of servicing data with the actual court docketed data Expedites the transfer of cases to preferred servicers and foreclosure counsel Triages upcoming critical events (e.g. sales, hearings) SERVICING EXECUTION Accelerates milestone progression to improve foreclosure timelines and minimize curtailments Prevents sanctions and unnecessary delays Improves overall foreclosure and litigation performance and disposition oversight Oversite's BestX is the only solution that combines objective data - sourced directly from the courts - with a legal rules-based decisioning engine developed by the default mortgage industry's top attorneys. ProTitleUSA - a leader in Nationwide Title Search Market, servicing both residential and commercial distressed asset space. ProTitleUSA offers nationwide residential and commercial O&E reports, dashboard single spreadsheet reporting per each asset portfolio together with exam, quality control and analysis of data used in portfolio due diligence or monitoring. ProTitleUSA is now offering an automated flexible exist strategy analysis dashboard for 1st position loan portfolios. 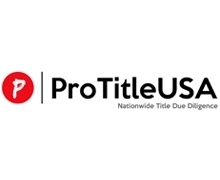 ProTitleUSA is the only vendor on the market to offer a $1.00/asset search for 2nd position liens to report unsecured assets, as well as, a low cost 2nd position secured vs unsecured search. 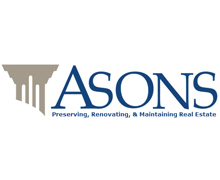 Founded in 1999, ASONS, a women-owned business, provides property preservation, renovation, and repair/maintenance services through 24 hour operations and a national network of experienced, qualified contractors with a hybrid platform of field employees to provide the quality and timeliness all clients deserve. Today, this hybrid model led by Six Sigma based processes allows ASONS to become the One-Stop, One-Call Real Estate Services Company that our clients seek throughout North America. With a balanced portfolio of services, clear goals, high performing teams, and the ASONS ADVANTAGE, our services continue to be sought out by investors and corporations throughout North America. 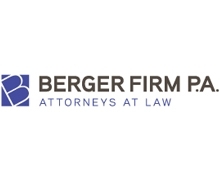 Berger Firm P.A. practices in Florida state and federal courts. 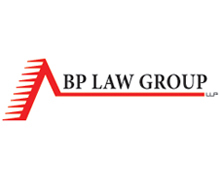 We are also involved in a number of insolvency and litigation matters. 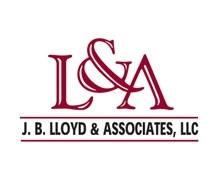 Our attorneys handle large and complex litigation in a number of areas including bankruptcy, creditor’s rights, general commercial litigation, real estate litigation and transactions, corporate transactions and construction litigation. Our Firm’s success is the result of hard work, a keen understanding of our clients’ issues, in-depth preparation, and our creative thinking that leaves no option unexplored. Clear Capital is a nationwide provider of real estate valuations, data and analytics, quality assurance services and technology solutions. 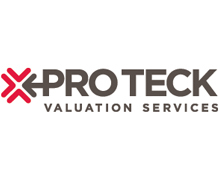 The company’s products include appraisals, broker price opinions, property condition inspections, value reconciliations, appraisal review and risk scoring, automated valuation models, home data indices, and platform solutions. 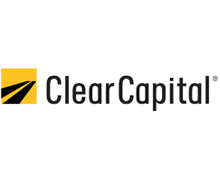 Clear Capital’s innovative technology, experienced valuation experts, and a well-trained network of more than 30,000 field experts sets a new standard for accurate, up-to-date, and well documented valuation data and assessments. Morningstar Credit Rating issued Clear Capital its highest Residential Vendor Ranking – MOR RV1. 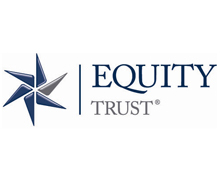 Equity Trust Company, with its corporate headquarters in Greater Cleveland, Ohio and operations in Sioux Falls, South Dakota and Denver, Colorado is at the forefront of the self-directed retirement plan industry. The Company specializes in the custody of alternative assets in self-directed IRAs, Coverdell Education Accounts, Health Savings Accounts and qualified business retirement plans. Along with its affiliates, Equity Trust Company provides services to more than 130,000 individuals and businesses nationwide with approximately $12 billion in assets under custody. Since 1974, the Company and its affiliates have helped investors make tax-free and tax-deferred profits through education and a commitment to customer service. Visit TrustETC.com for more information. 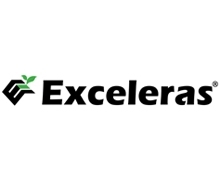 Exceleras has a record of being an invaluable solution for both client types by offering a system that is intuitive, flexible, and comprehensive. Exceleras, located in Glencoe, Illinois, was established in 2006. 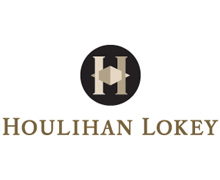 The founders applied over 20 years of national real estate experience to build a company that has become one of the industry's fastest growing servicing technology firms in the U.S.
Houlihan Lokey (NYSE: HLI) is a global investment bank with expertise in mergers and acquisitions, capital markets,valuation, financial restructuring, and strategic consulting. The firm serves corporations, institutions, and governments worldwide with offices in the United States, Europe, and the Asia‑Pacific region. Independent advice and intellectual rigor are hallmarks of our commitment to client success across our advisory services. Houlihan Lokey is ranked as the No. 1 M&A advisor for all U.S. transactions, the No. 1 global M&A fairness opinion advisor over the past 15 years, and the No. 1 global restructuring advisor, according to Thomson Reuters. 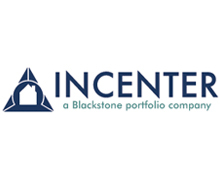 Incenter, LLC, as a mortgage solutions provider headquartered in Saint Paul, Minnesota, employs approximately 300 professionals worldwide to support our clients with a suite of dynamic and responsive capital markets and lender services solutions across the entire mortgage cycle. Our offerings are customized to deliver the right solutions at the right time for our clients business needs. 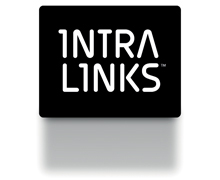 Intralinks® Holdings, Inc. (NYSE: IL) is a leading global technology provider of secure content collaboration solutions supporting the portfolio loan sales process. For 20 years Intralinks has been serving the debt capital markets community with one of the most widely used loan platforms for deal and document management. Intralinks provides deal participants with tools they need to streamline the debt divestiture process from pitch to sale. With Intralinks, portfolio loan sales teams can maximize proceeds by executing transactions faster. Intralinks is the most trusted Virtual Data Room provider, with a track record of enabling high-stakes transactions valued at $31.3 trillion. LoanCare, a ServiceLink company, is a leading national provider of full-service residential servicing to the mortgage industry, and is one of the top three subservicers nationwide. At the present time, LoanCare subservices approximately 600,000 loans, with more than $115 billion in loan balances. 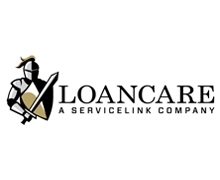 As a company focused on the borrower experience and their client’s satisfaction and loyalty, LoanCare leverages its exemplary service, technology and best practices to assist lenders, servicers and investors reach their business objectives. For more information about LoanCare, please visit www.loancareservicing.com. 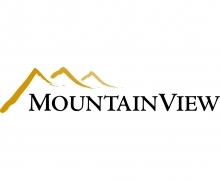 MountainView offers a diverse set of critical risk management and advisory services to a broad group of institutional participants in the financial services industry. Our suite of flexible and customizable services was developed in support of key institutional risk functions and to provide trading and investment opportunities. 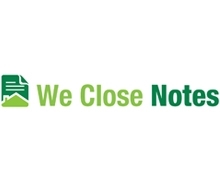 NoteSchool provides practical, applicable and up-to-date training and mentoring to thousands of students, but more importantly, it's a community of serious, active note investors.NoteSchool provides the individual investor the tools, training, resources and network they need to succeed in the note business. 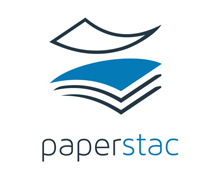 Simply put, Paperstac.com is a technology infused platform, where institutions and individuals can get together to transact business in an efficient, transparent and safe environment. Our powerhouse team of strategist, developers and marketers are leading the way in changing how business is conducted in the mortgage note space. We have taken our real world experience from buying notes, and applied it, to create a platform that will make note buying easy for the part time investor or the full time trade desk. - And much more; as we now have a dedicated team constantly listening in to what everyone wants and what the industry needs. 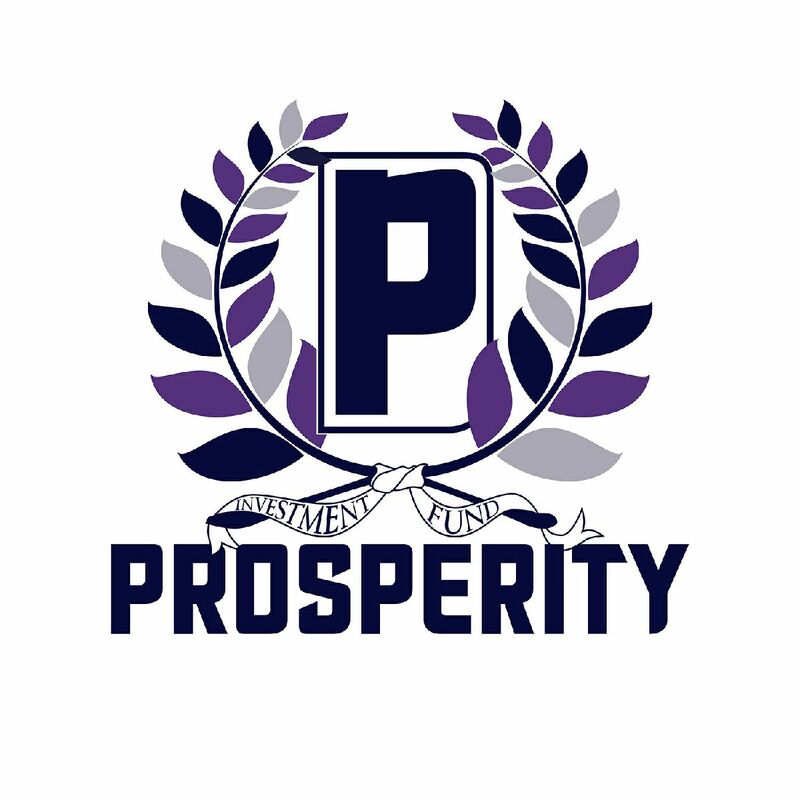 Prosperity Investment Fund is a Newport Beach, California Real Estate Investment firm, specializing in acquiring Non-Performing 1st Trust Deeds, Mortgages and REO's, secured by residential properties nationwide. Our core strength is abilty to create passive cash flow through not only the various exit strategies, including loan modifications, as well as a unique seller finance platform, which monetizes the asset through several revenue streams. 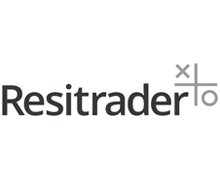 We work with investors to build a portfolio of passive income investments. 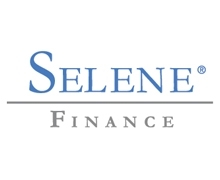 Selene Finance uses proprietary technology combined with unmatched customer service to propose flexible and creative servicing strategies to address the different needs of nonperforming, re-performing, REO, and performing loans. Selene is able to service in all 50 states and has approval to service Fannie Mae, Freddie Mac, Ginnie Mae and Federal Home Loan Bank loans. For more information, visit SeleneFinance.com. 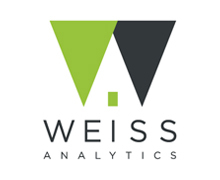 Weiss Analytics is a pioneer in next generation home price analytics. Building on our unique expertise in repeat sales home price indexes, we have increased the resolution of market analysis by nearly 10,000-fold. We have created nearly 50 million repeat sales indexes,.one for each house, through the use of Big Data techniques, novel algorithms and by harnessing the power of massively parallel multi-CPU computing power. We produce house specific home price indexes; automated home valuation products for the web; and provide custom residential research and advisory services to the industry. Every week, Asset-Backed Alert gives you the earliest word on money-making plays emerging from the transformed ABS and MBS markets. The newsletter makes sense of the changes impacting the securitization of consumer loans, home mortgages and corporate receivables. See for yourself by signing up for a three-issue FREE trial subscription to Asset-Backed Alert. Start your free trial at http://www.abalert.com/, or call 201-659-1700. Best Attorneys Online: http://www.bestattorneysonline.com, a premium service provided by bestattorneysonline.com LLC, started in 2009, ranks law firms through research and evaluation to identify the most respectable and dedicated law teams in the United States. Our goal is to provide our users with a new way to locate and contact an attorney or a law firm while providing firms a way to get their image out and into the open. We advertise and provide access to the best law firms around the country and in specific areas and also list a directory showing many opportunities for a client to get in touch with legal help. www.bestattorneysonline.com. 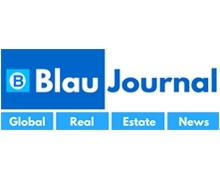 Blau Journal (www.blaujournal.com) is a Global Real Estate Digital Media platform featuring the latest in company news, deals, listings and commentary from Industry Professionals. We publish news online Nationally (45+ City Editions) and Internationally as well as cover (25+) Industry sectors. We publish a variety of content online for our global readers including user submitted content, native content and aggregated news from various industry sources. Our platform is the destination for "All Things Real Estate” both commercial and residential. Our goal is to Provide a “Voice” for Real Estate Industry Professionals. Visit our website at www.blaujournal.com. You can also Download our Mobile App for Free on the App Store. (Search Blau Journal). Blau Journal is a media property by Blau Media Group, a Full Service Digital Media and Marketing Agency focusing on clients in Real Estate, Finance and Hospitality. 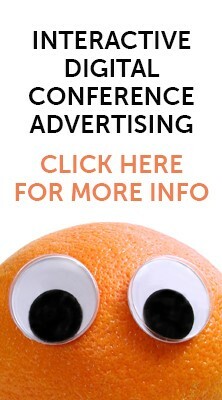 Visit www.blaumediagroup.com for more information. 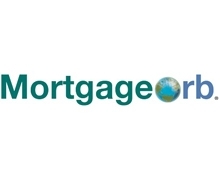 MortgageOrb.com is the leading online news site covering the real estate finance industry. Its daily news wire covers all aspects of the residential and commercial real estate worlds: origination, securitization, servicing, regulatory changes, government policies and the industry’s impact on the national and global economies. non-institutional entities have grown in size their participation as a share of the money provided to borrowers and entrepreneurs has rocketed. With every crowdfunder, IRA investor, Private Lender, and Hedge Fund competing for attention and market share within their niche, getting access to funding has become time consuming, chaotic and confusing. To solve this challenge, REIFA (Real Estate Investment and Funding Association) was created. A non-profit (applied for) trade association. In order that the real estate borrowers and entrepreneurs could share information on, and be educated about, the best sources of funds and funding for their properties and projects. In addition, providing a place where those funding providers could establish their credibility as a legitimate and trusted authority by providing valuable training and education in addition to offering money for deals. Based in Santa Barbara County, Calif., Realty411 publishes online and print magazines, e-newsletters, produces expos, and mixers around the United States. Their mission to educate and empower everyone from all walks of life to invest in real estate. The media/marketing company is owned by a real estate investor and licensed California real estate sales agent. 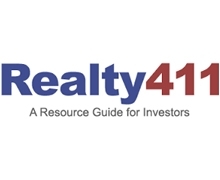 Realty411 currently reaches more personal investors around the nation with their in-house expos and events than any other realty investor publication in the world. Many expos are charity events where awareness and donations are raised for numerous worthwhile organizations, which focus on children, assisting the homeless, victims of domestic violence, and animal welfare. 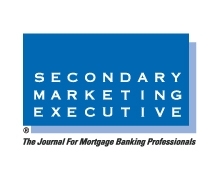 Since 1986, Secondary Marketing Executive has been the most respected source of mortgage industry news. With exclusive articles that detail industry trends and regulatory challenges, this monthly magazine has a strong track record of providing its readership the information and tools they need to build their bottom line. 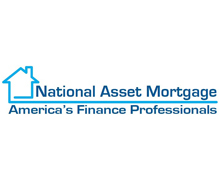 Since 1989, Servicing Management has provided the "back shop" a front-row seat in the mortgage market. 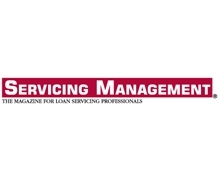 With exclusive articles that detail industry trends and the unique challenges facing servicers, this monthly magazine has a strong track record of providing loan servicing professionals with the information and tools they need for their business operations. To help each of our over 200 associations nationwide and 30,000+ associated small investors become more profitably successful through education, networking and special pricing discounts negotiated with vendors on their behalf. To promote and protect investors and property rights in general through legislative means.To raise the reputation and level of professionalism of the single family investors thru education and the Professional Housing Designation (PHP).